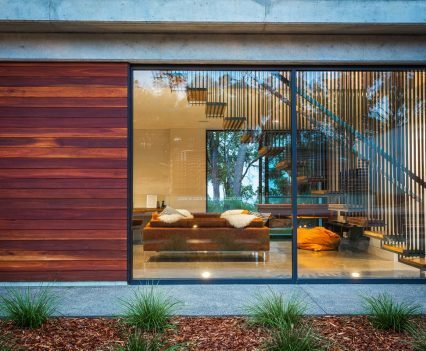 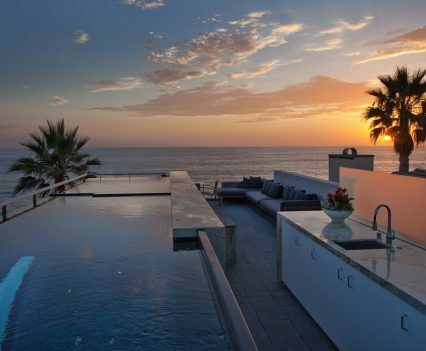 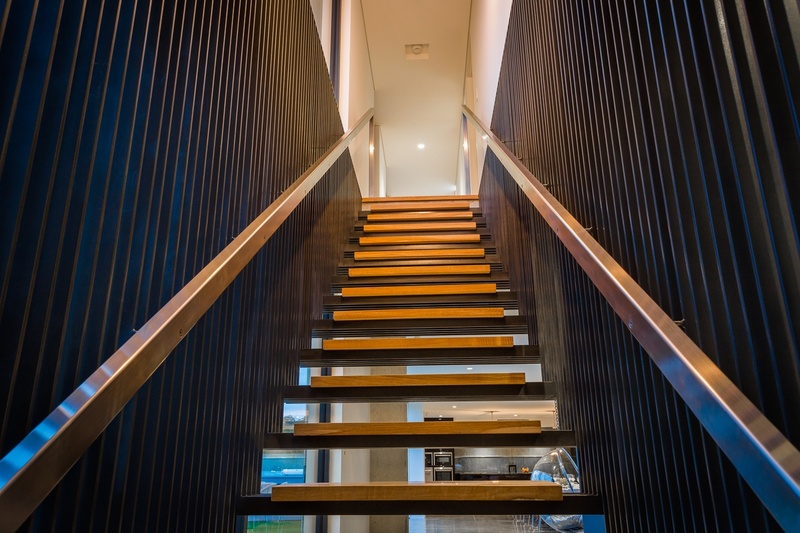 We all know stairs have a distinct purpose, however irrespective of the style of home you are building – whether traditional or contemporary, with proper consideration the stairs can be much more than just a way to connect upstairs to downstairs. 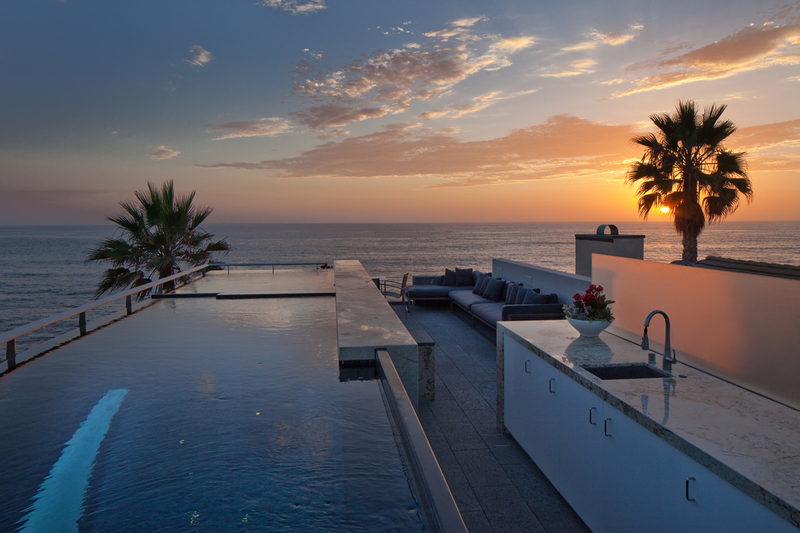 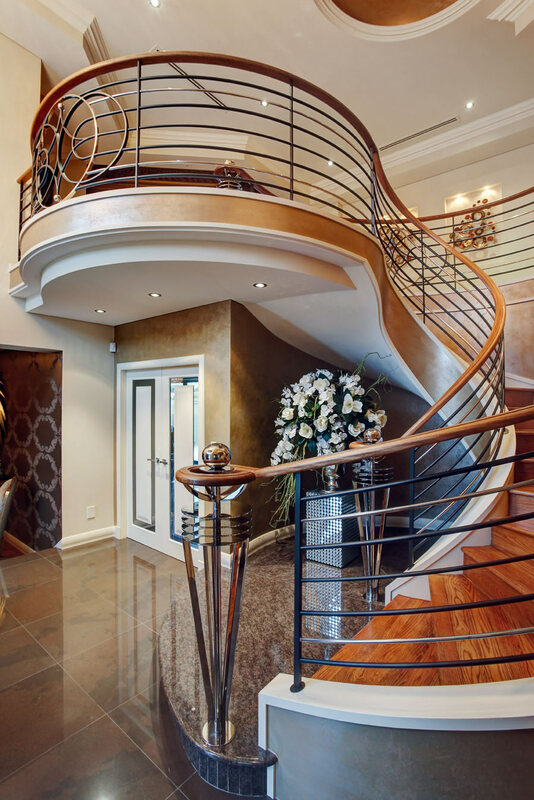 These stunning stairs have all been expertly designed to be not only functional, but a stunning feature of the home. 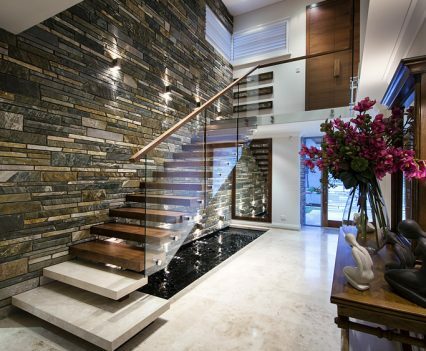 Cantilevered out of a feature stone wall above a pond, the stairs in this home by Perth custom home builder, Zorzi Builders, have become an amazing feature in the entry of the home. 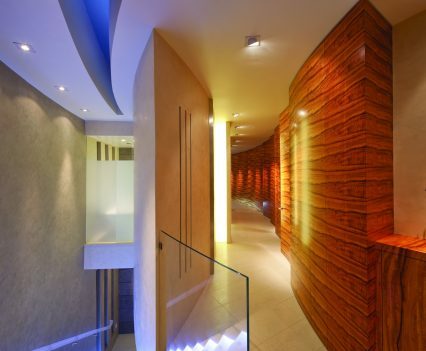 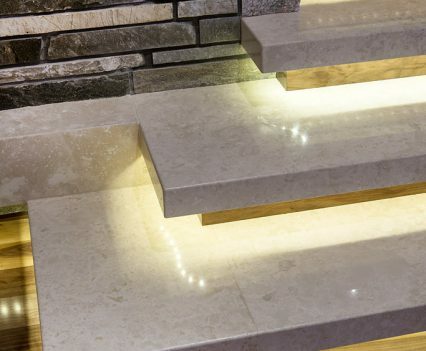 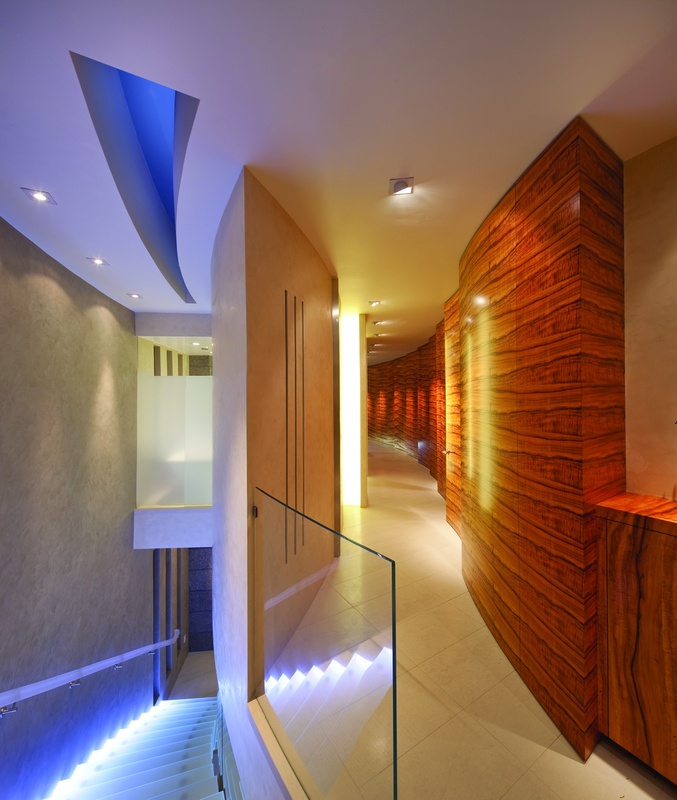 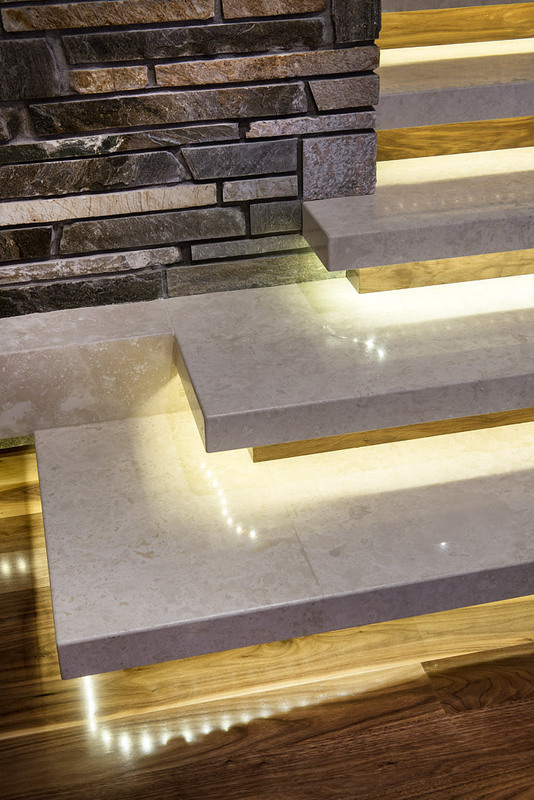 The beautiful polished stone treads are replicated in other areas of the home and under-lit with stunning effect. 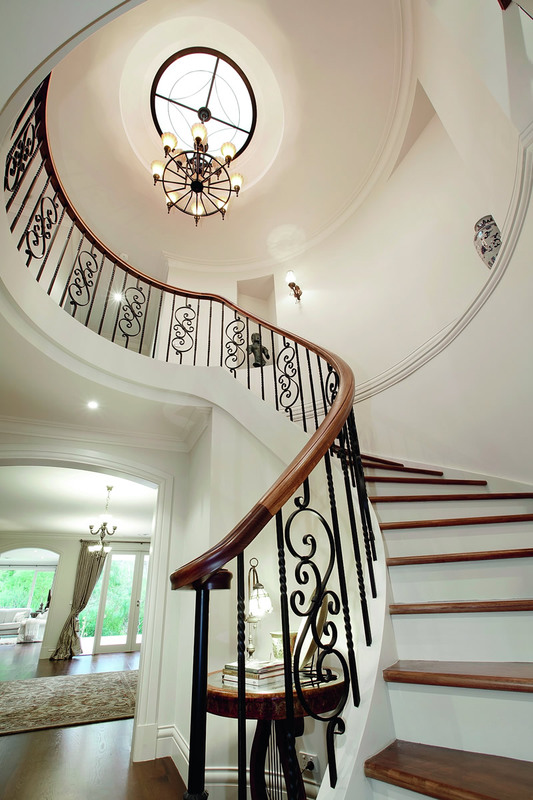 This multi-award winning home by Perth Custom Home builder Weststyle Design & Development has a staircase of grand proportions. 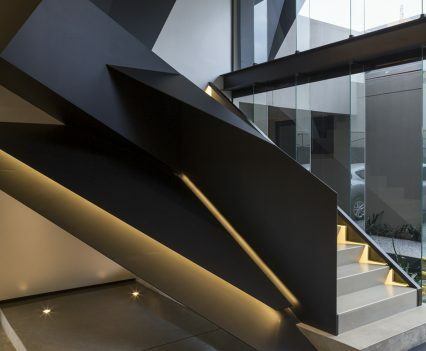 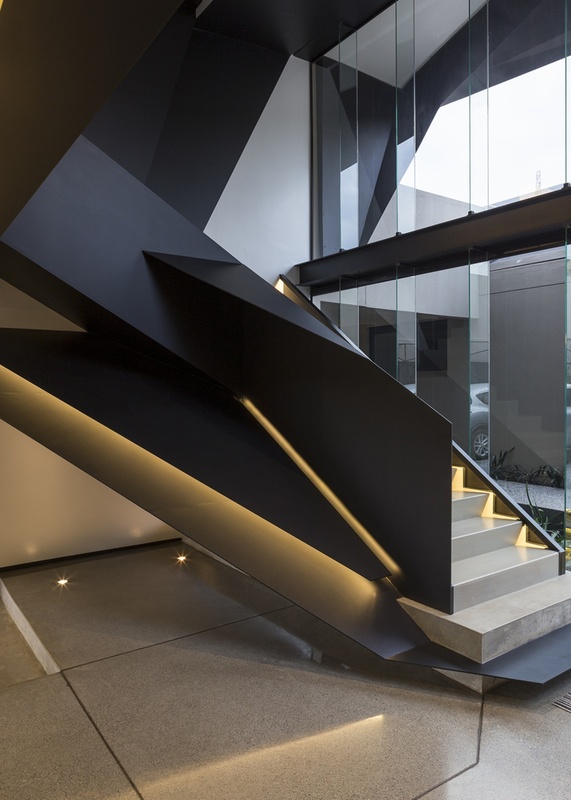 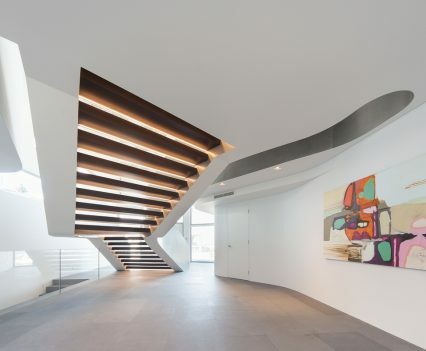 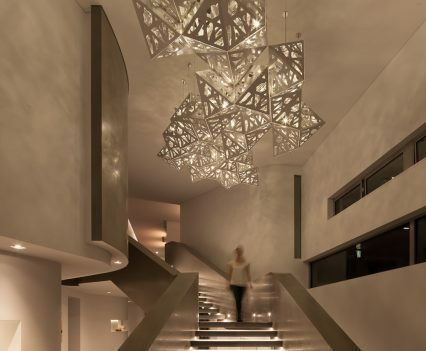 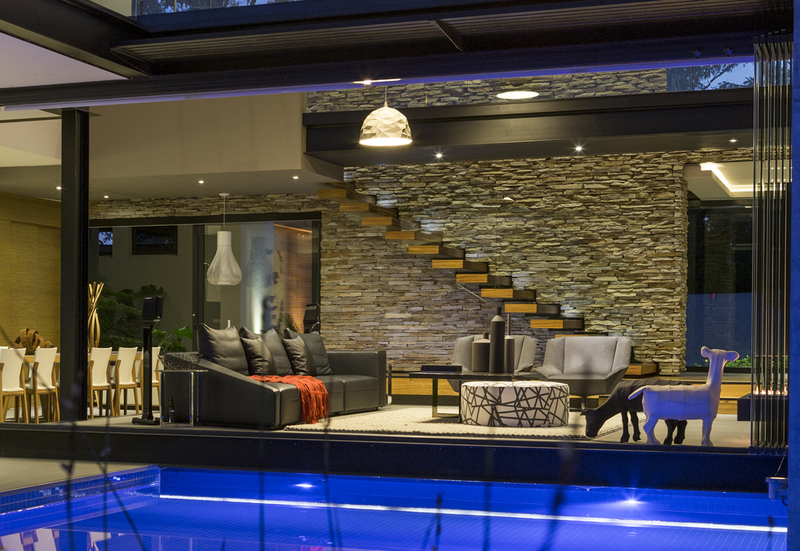 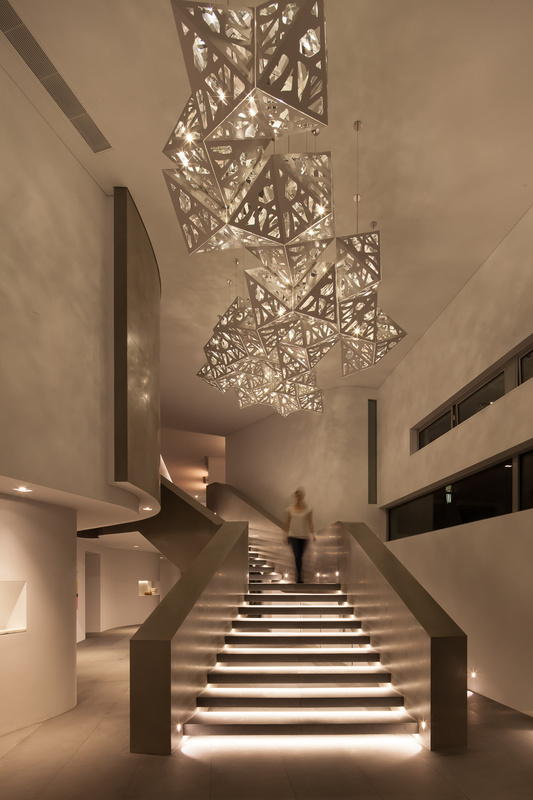 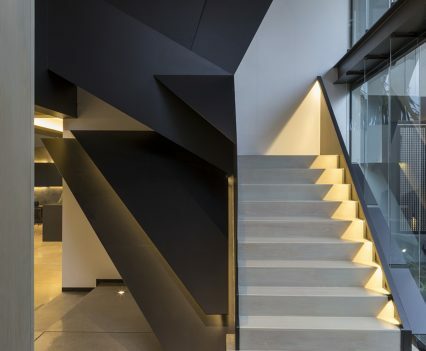 The angular lines of this staircase by world renowned architects Nico Van Der Meulen look like you might be ascending onto a spaceship. 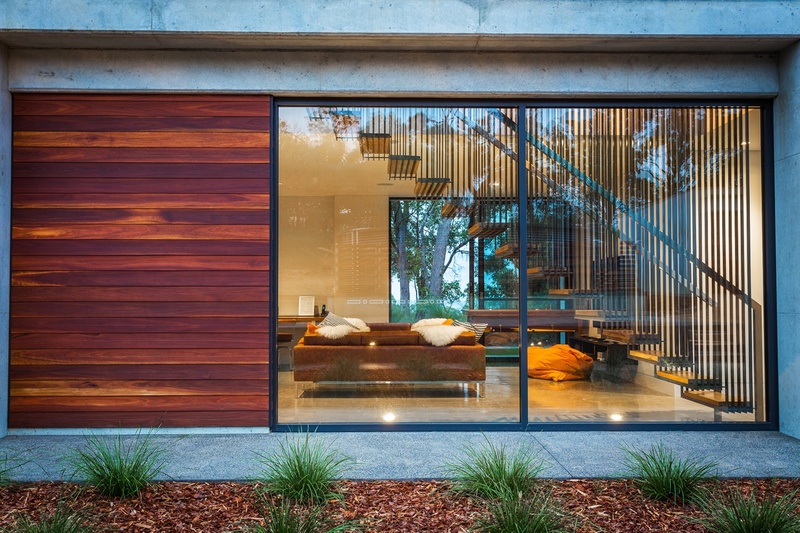 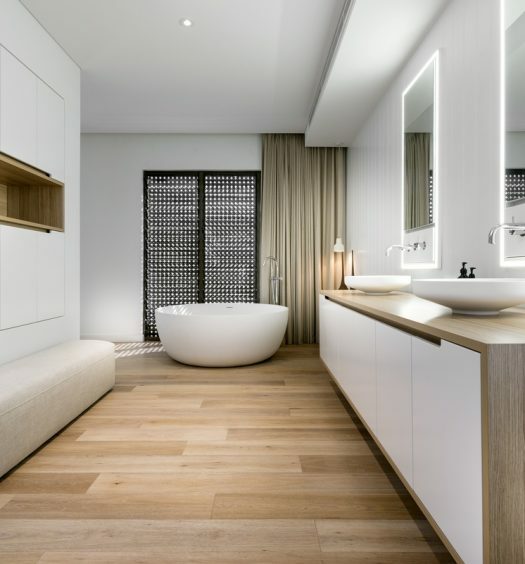 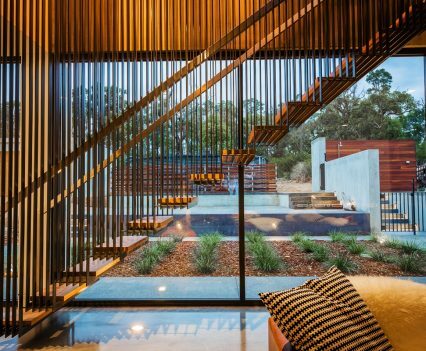 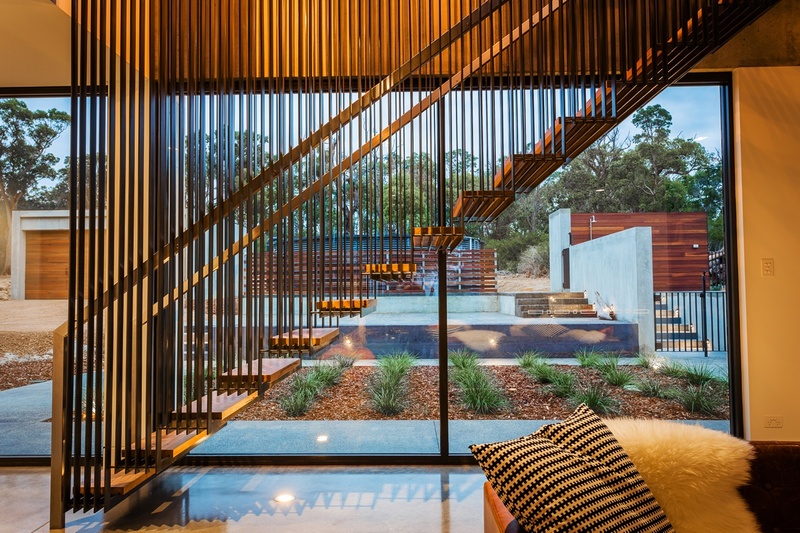 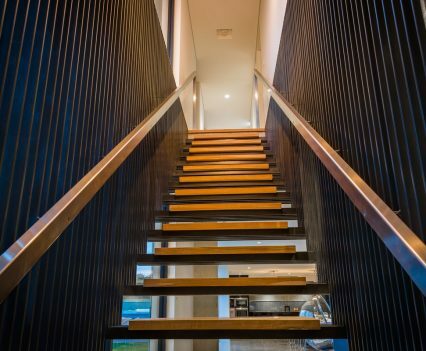 In this open plan home by Perth Custom Home builder Tallwood Constructions the timber slats of the staircase create a striking visual feature both inside and outside the home. 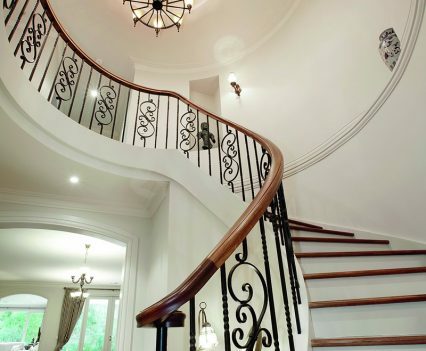 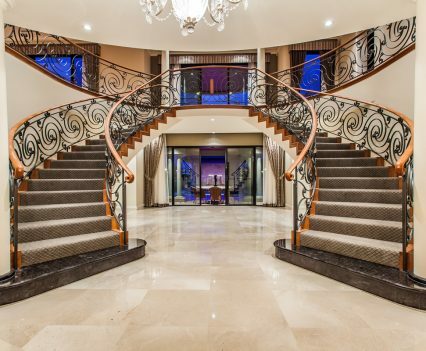 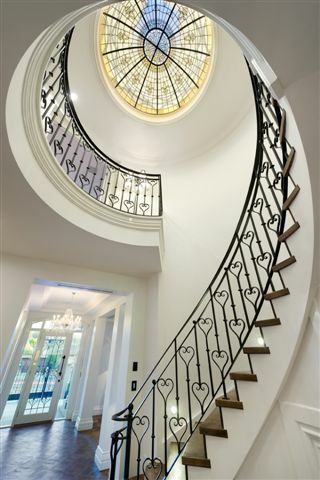 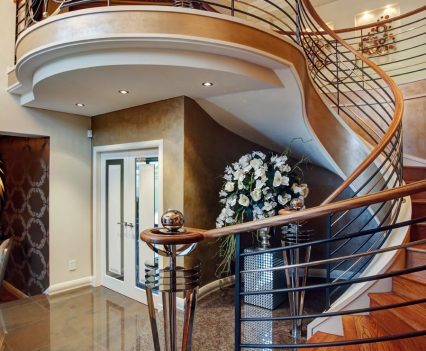 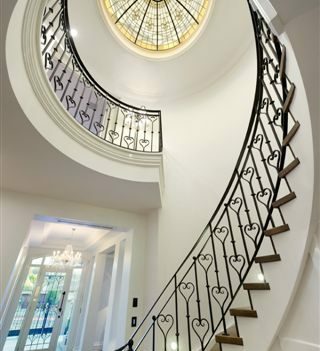 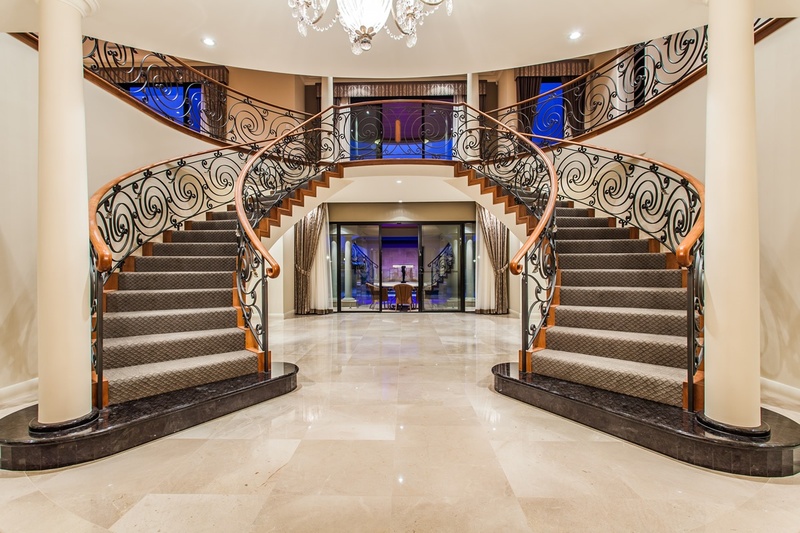 These beautiful sweeping staircases with detailed custom made balustrading create a sense of grandeur in the home. 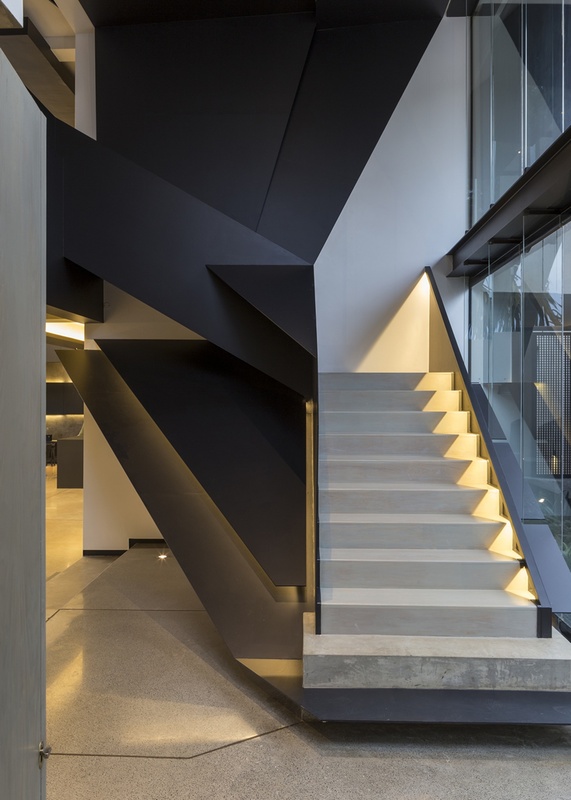 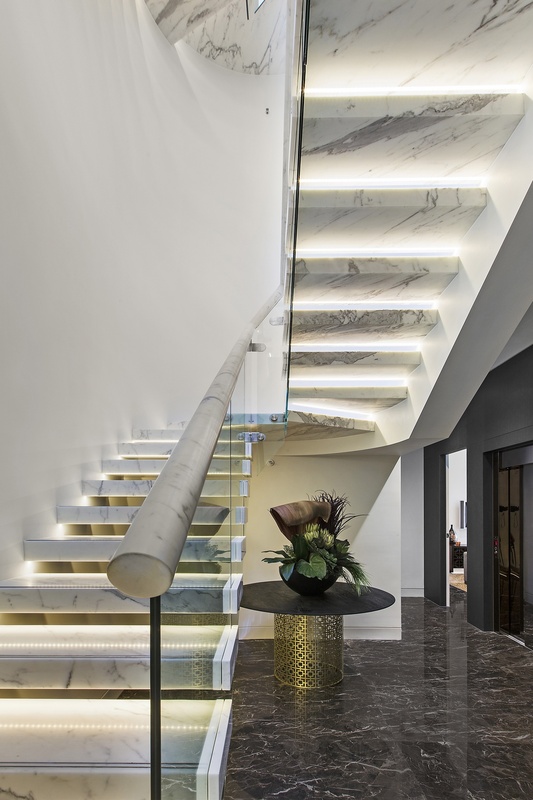 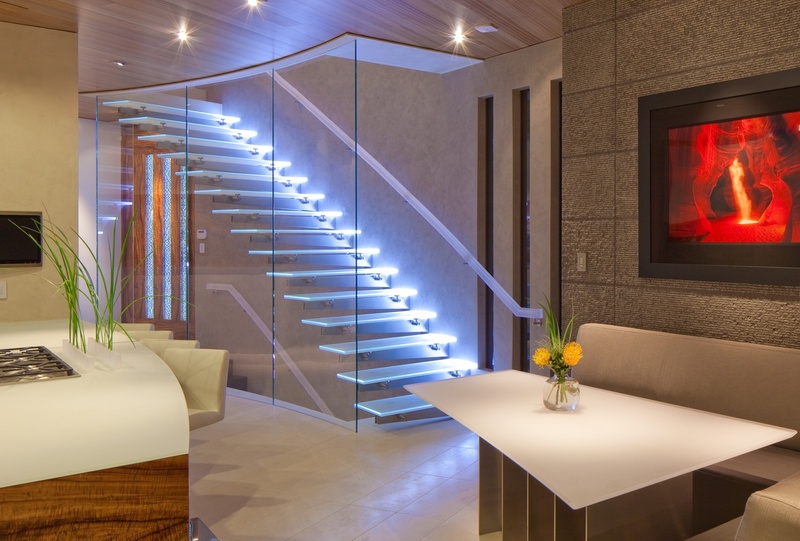 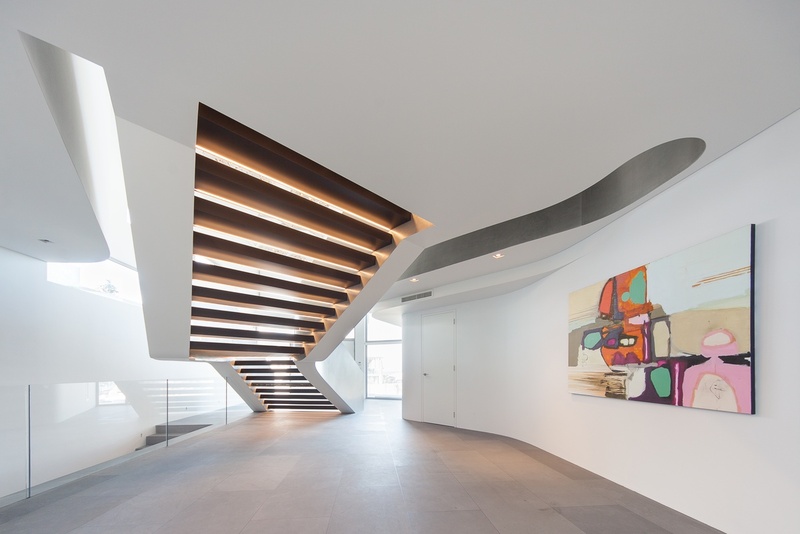 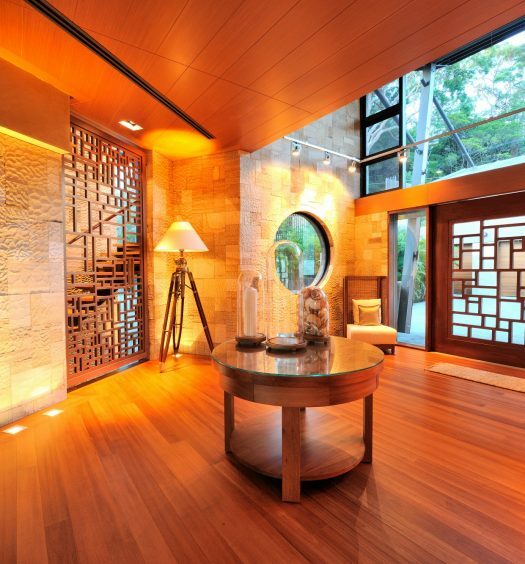 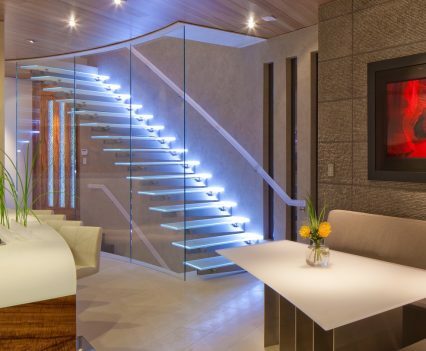 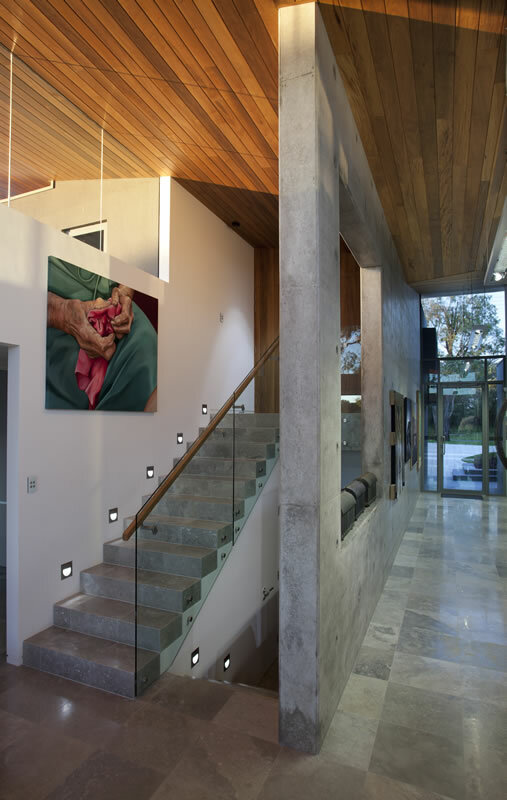 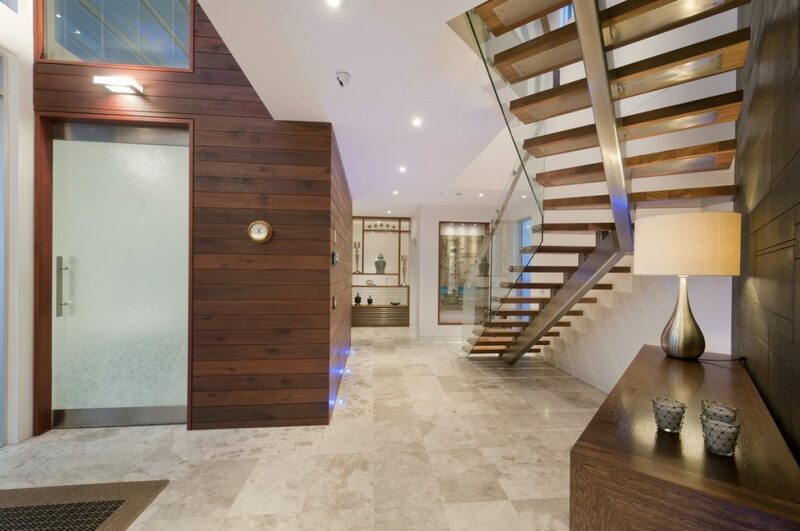 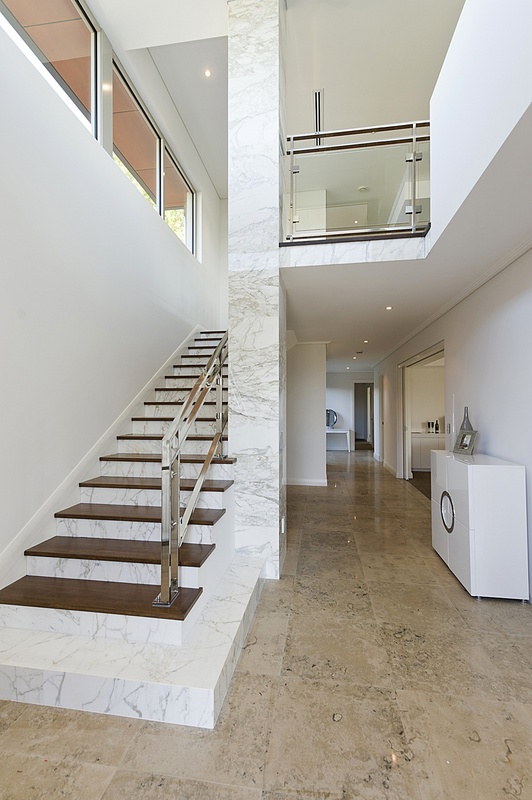 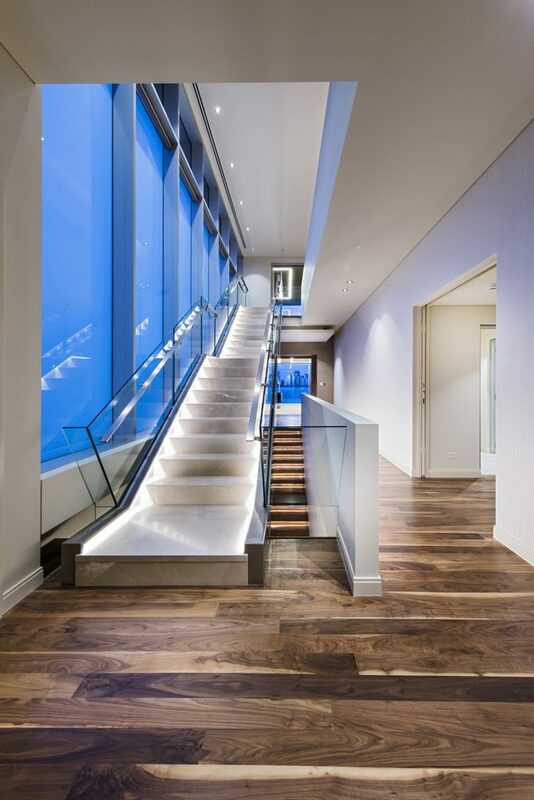 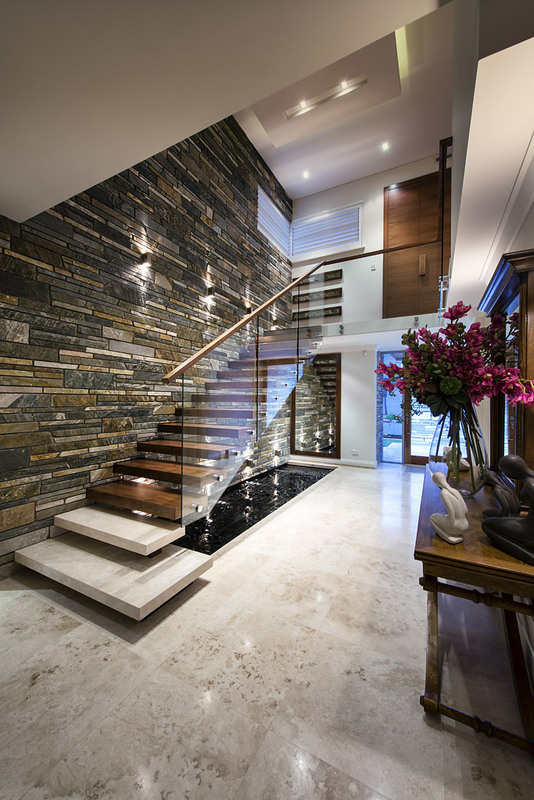 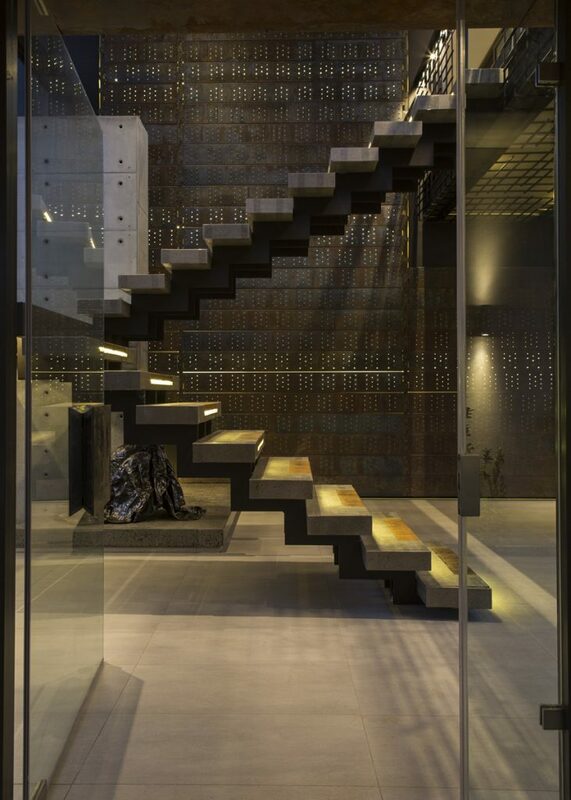 Marble, timber, concrete and metal, each of these dramatic contemporary staircases match the style of the home.